Barska Starwatcher 400x70mm Telescope Review - DON'T Buy It! The Barska Starwatcher 400x70mm telescope is so bad that it shouldn’t even exist, and it, in fact, makes even the worst scopes peddled by serious manufacturers like Celestron, Meade, and Orion look good. It makes me feel quite sad knowing that scopes like the Starwatcher 400×70 probably outsell even the “junk” or “toy” telescopes from the aforementioned manufacturers by an order of magnitude. Who knows how many children or adults open the Starwatcher 400×70 on their birthdays or holidays only to have their interest utterly crushed by such an abhorrent, unusable instrument? 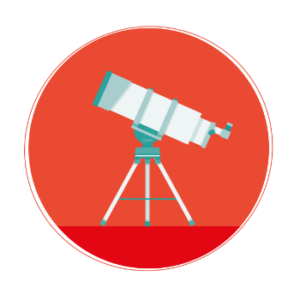 Right away, the first thing that should raise red flags about the Starwatcher is the fact that it advertises its magnification as 300x. Not only is this completely impossible with a 70mm telescope, let alone a short achromatic refractor with optics that are dubious in quality, but you should avoid any telescope marketing itself on the basis of “power”. More magnification doesn’t let you see more, and too much will result in a blurry, unfocusable, shaky image. Every year, many people whom have never used a real telescope before (or do not remember the experience) buy the Starwatcher 400×70 believing it is a decent telescope based on its positive reviews, get a half-decent view of the Moon and its craters or see a random star field, and conclude that it is a satisfactory telescope at least for the price, giving it a 4 or 5-star review and then putting it away and forgetting about it, with the occasional person giving it a downright negative review when they realize how terrible it is. This cycle spawns more unwitting consumers doing the same thing, and as of the time of publishing this article, the Starwatcher 400×70’s 300 reviews on Amazon average it out at 3.5 out of 5 stars The same pattern happens with many “department-store” or simply mediocre telescopes sold on the Internet, leading for more and more junk telescopes to be churned out and allowing the cycle to continue. That being said, let’s get on to actually going over this joke of a telescope. The Starwatcher 400×70 is (as the somewhat backward naming scheme describes) a 70mm f/5.71 doublet achromatic refracting telescope with a focal length of 400mm. Being an achromatic refractor with such a fast focal ratio, it is pretty much a low-power, wide-field telescope. With good optics and a sturdy mount, I would probably not want to take the magnification above 80x. 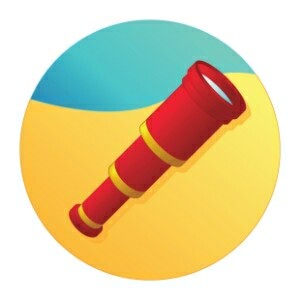 However, expecting almost anything at all of the Starwatcher 400×70 is expecting too much of it. It doesn’t have good optics. The objective lens is glass, but not good glass, not well-shaped glass, and not well-coated glass. The chromatic aberration this scope produces is unusually high, and it’s not helped by its cheap diagonal and eyepieces (which we’ll get to later). The lens cell also seems to pinch down on the objective itself, causing stars to have funny-looking shapes even when in “focus” and the image to deteriorate even further. The Starwatcher’s tube is plastic, as is pretty much everything else. I think the only metal components on the entire telescope might be the screws attaching the focuser and objective to the tube, and the thumbscrews for the focuser, finder, and diagonal. Funny enough, the scope’s focuser is a 1.25” unit and is surprisingly good for an all-plastic focuser on an all-plastic telescope that costs less than $75. The Starwatcher attaches to its mount with a ¼ 20 hole on a plastic shoe on the bottom of the tube, which is secured with a captive knob on the mount. The Starwatcher 400×70’s finderscope is a 5×24 unit. The tube and bracket are plastic, the objective lens is a single plastic element, and it’s stopped down to contain the terrifying aberrations a plastic, fast singlet lens will, of course, produce combined with the eyepiece, which is so bad that Galileo probably had something better. The inside of the tube isn’t really even painted black. Sighting down the tube is more effective than using this abomination. The Starwatcher 400×70 comes with two eyepieces: A 20mm Kellner providing 20x and a 4mm Ramsden providing 100x, as well as a 3x Barlow to provide the advertised 300x when used with the 4mm Ramsden. The 20mm Kellner produces a ridiculous amount of added chromatic aberration and I find the field of view so narrow that I think it might be a falsely-labeled Huygens. The lenses appear to be plastic, too. However, it can’t compare to the horrors of the 4mm Ramsden. Not only does it provide more magnification than the scope can handle in the first place, but the thing is entirely plastic, has a recessed eye lens and no eye relief to speak of, and is like looking through a soda straw. I didn’t think that you could make a worse 4mm Ramsden than the one supplied with Celestron’s PowerSeeker telescopes. I was wrong because this thing somehow is worse. The 3x Barlow is of course entirely unusable, being entirely plastic and providing too much magnification even with the 20mm eyepiece, in addition to throwing up all kinds of aberrations due to its single plastic lens. The Starwatcher 400×70’s diagonal is a 45-degree erecting unit. Not only is this not the right design for astronomical use, but it absorbs a lot of the scope’s already meager light collecting ability, adds chromatic aberration, and shows severe double/ghost images. The scope’s case is a soft fabric unit and actually isn’t bad. However, I have read reports of it arriving damaged, moldy, or rotted, so buyer beware. How Terrible Is The Mount? If everything I’ve already said hasn’t already convinced you not to buy the Starwatcher 400×70, I hope that the mount does. It is mildly more useful than cradling the tube in your arms or looking straight through it, sans diagonal, like a pirate. The Starwatcher 400×70’s mount is based on the uber-cheap tabletop tripods meant to hold small digital cameras. The scope’s center of mass is quite offset from the fulcrum of the mount, meaning the mount’s altitude axis must be tightened all the time. The mount’s bearings are plastic on plastic, and trying to tighten either axis is just pressing the squeaky, cheap plastic parts against each other meaning that you cannot get fluid motion. The scope’s tabletop “sturdy adjustable tripod” is a joke, and I really don’t have many words beyond that to describe it. 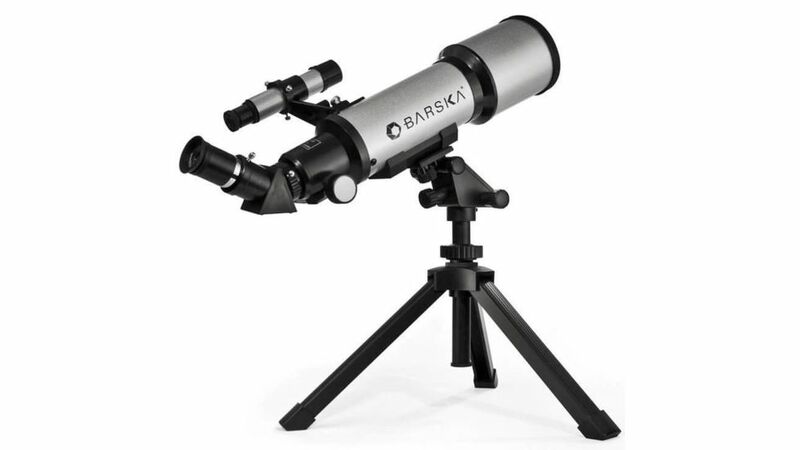 Contrary to Barska’s marketing, the Starwatcher 400×70 is not a practical telescope, not a good beginner’s telescope, not sturdy, not professional in quality, and not even a usable instrument. Even if you discard all expectations of “power” and any hope in using over 50x with it, it is still an unusable telescope. 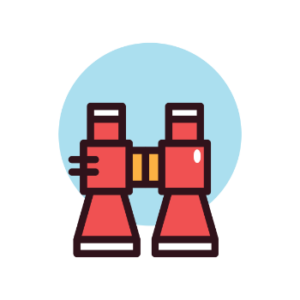 A pair of binoculars will crush any of the meager views you could possibly hope to obtain with the Starwatcher 400×70, as will any remotely decent beginner’s telescope that costs as little as a few tens of dollars more. I have often compared telescopes that are rather mediocre at best to better ones in their price range as one compares a toy bicycle to a real mountain bike. In this analogy, the Barska Starwatcher 400×70 stands as merely a cardboard cutout of a bicycle. It barely even looks the part of a real telescope and any attempt to make it function like a real one is futile. 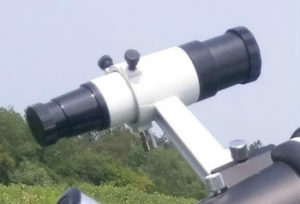 Even the cheap “toy” telescopes sold in earlier years have borne more resemblance in functionality to a real telescope than the Barska Starwatcher 400×70 ever can.